Paving the way for education. 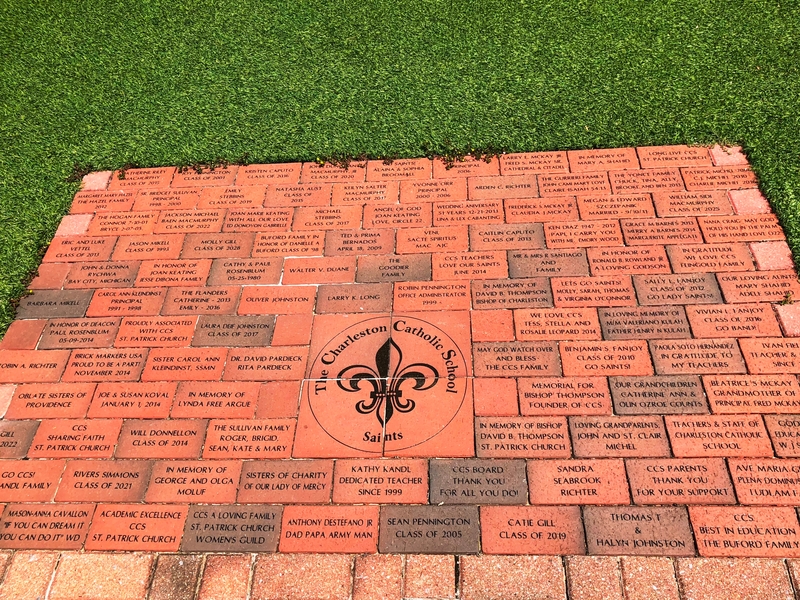 Purchase a personalized brick that will be a permanent fixture on our campus for future generations to see. Your tax-deductable donation will go toward the CCS Building Fund. One 4" x 8" brick is $100. You may have up to 3 lines of text with 20 characters per line. Please make checks payable to The Charleston Catholic School. You may mail in a check, cash, or money order to 888-A King Street, Charleston, SC 29403. You may also purchase online by clicking here. Simply choose "Buy-A-Brick Program" under Donation Categories. Call 843-577-4495 for more information.